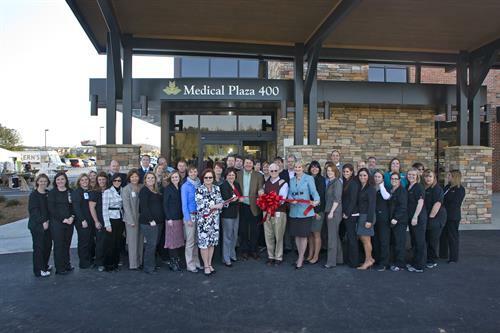 At Medical Plaza 400, patients enjoy an enhanced patient experience. Clinicians and staff in each office work in concert to offer seamless, comprehensive care across all services and specialties. Our approach is unique; as a patient, you will quickly see the difference. Design elements of the building mimic the renowned design of NGHS? other locations, such as the North Patient Tower in Gainesville, which has been recognized for its best practice use of natural light, soothing colors and appealing artwork to create a healing environment. The Imaging Center offers patient amenities such as warm robes, gourmet refreshments and private waiting areas for men and women in a spa-like atmosphere.